When Windows Vista was released, Microsoft introduced the concept of ReadyBoost as a sort of alternative to spending more money on RAM. Back when Vista was released, RAM was still pricey and this caused a lot of consumers to opt to stick with XP and not make the upgrade to Vista. 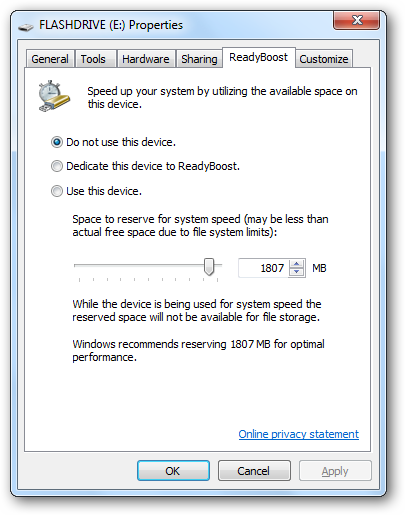 ReadyBoost allows a Windows user to utilize a USB drive to help cache memory. This helps improve the amount of physical memory available and increases the productivity of the hard drive installed in a system. For those with little RAM in a computer, ReadyBoost could make a difference in some situations in how it performed. The core idea of ReadyBoost is that a flash drive has a much faster seek time than a typical magnetic hard disk (less than 1 ms), allowing it to satisfy requests faster than reading files from the hard disk. It also leverages the inherent advantage of two parallel sources from which to read data, whereas Windows 7 enables the use of up to 8 flash drives at once, allowing up to 9 parallel sources – thus improving the speed dramatically. So when your RAM is full, Windows moves the cache to the PageFile which is then processed much faster on a USB drive than the hard disk, thus improving the overall speed. 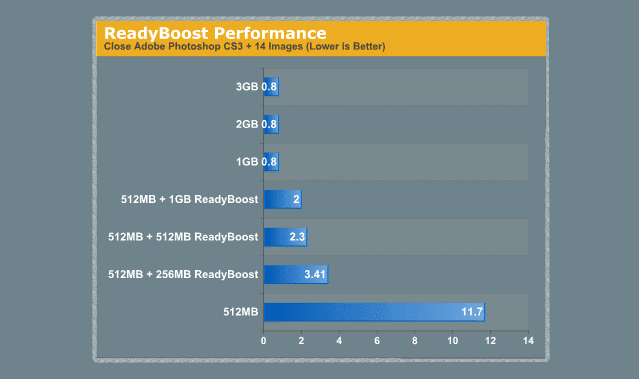 While most Windows users have no clue what ReadyBoost is, those still using it swear by it. It’s most effective for systems which have lower RAM than the ones which have 4- 8 GB of RAM installed. This brief guide will show you how to get started with ReadyBoost, and you can then see for yourself if it makes a difference on your computer or not. Before you get started setting up ReadyBoost on your USB drive, you want to ensure that your drive has at least 2 GB of space available. This is the optimal USB drive configuration. Microsoft recommends the amount of flash memory for ReadyBoost acceleration be one to three times the amount of random access memory (RAM) in your computer. Stick your USB drive into your computer and one of two things will happen. Either auto-play will pop-up asking you what to do next or nothing will occur. 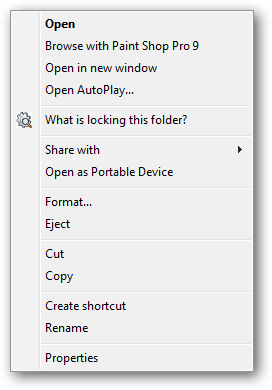 If nothing occurs, open “My Computer.” If Auto-Play shows the option to use the flash drive for ReadyBoost, Click on it. From there, locate your flash drive. Right click on it. Click “Properties” in the context menu. This will open the Properties for your flash drive. You will see a tab called ReadyBoost. Click on it. Now, one of two things will happen. If ReadyBoost cannot be used on your computer, you will be alerted so in this tab. This has nothing to do with your USB drive and everything to do with the type of hard drive and mechanics it is using to run when turned on. If this is the case, ReadyBoost will not do anything to speed up your system’s performance and you may want to look into other options. Depending on the brand, wear, and tear from read-write cycles, and size of the flash memory, the ability to format as NTFS may not be available. 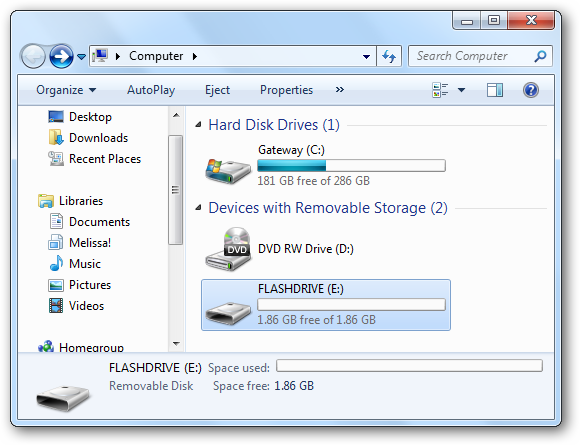 Enabling write caching on the flash drive by selecting Optimize for performance in Device Manager allows formatting as NTFS. You can read about how to do it here. Click “Dedicate this device to ReadyBoost” to get started. A pop-up will appear while your computer works on your USB drive to get it configured properly to handle the load of caching your hard drive disk. A few seconds later, the process will be finished and the tab’s option will change to Use this device. Click “Apply”, then “OK” and ReadyBoost is now running on your computer. 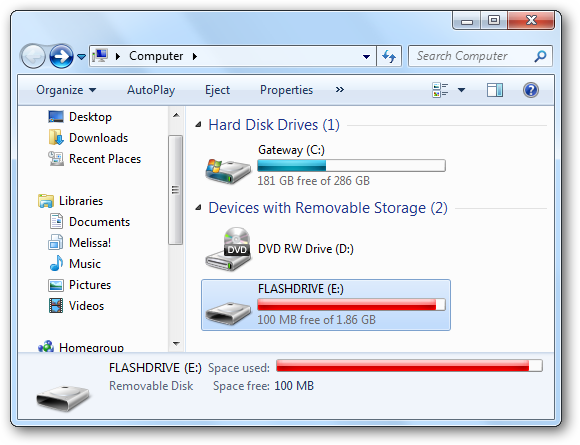 If you head back to My Computer, you will see that the majority of space on your flash drive is in use. This is constant because your computer is using the device to cache every single interaction you make with your system. ReadyBoost can actually be used on several types of removable media, not just USB drives. Portable hard drives and other storage devices can be used to help increase the productivity of ReadyBoost. Once you set up ReadyBoost, you may not notice a difference at first but the more it works with your system, the more the results should be noticeable to you. Please note that since flash drives wear out after a finite (though very large) number of writes, ReadyBoost could eventually wear out the drive it uses—though this may take a long time, depending on various factors. 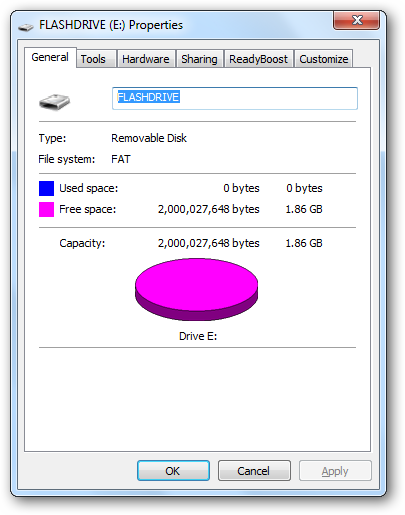 According to Microsoft, the drive should be able to operate for at least ten years. Is ReadyBoost an efficient way to speed up Windows 7? For some users, ReadyBoost works like a charm. For others, it seems to be a waste of time. Until you enable ReadyBoost and begin to use it, you will never know what a difference it will make on your computer. Since every computer and user is different, you may get more benefit from ReadyBoost than the computer next to you. We’ll soon be writing about a tool that helps you measure the performance of ReadyBoost on your system. 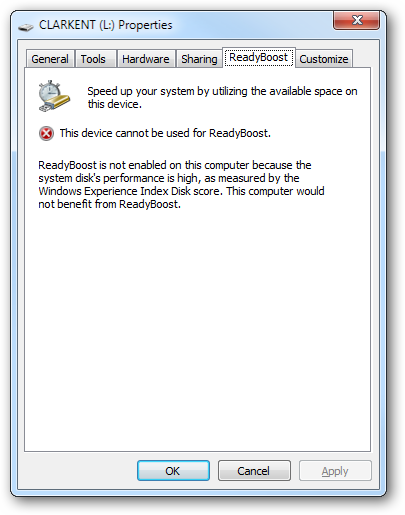 ReadyBoost was an effective tool for Windows Vista users and for some Windows 7 users, it still works well for them. Since it has mostly positive reviews from Windows users it’s also supposed to be available on Windows 8. If ReadyBoost does not make a difference or you cannot use it on your computer, it may be time to look into alternatives (possibly a RAM upgrade) to increasing the performance of your machine.